François Auguste René Rodin was born in Paris on November 12, 1840 to a working class family. His mother was a seamstress and his father was a police inspector. Many people considered him as the father of modern sculpture. Rodin had the unique ability to create a deeply pocketed, turbulent and complex surface using clay. Many of his works were heavily criticized because they were not in a mold viewers were accustomed to seeing. Moving away from allegory and mythology, Rodin created sculptural pieces that showed realism in the human body, depicting a figure’s physicality and individual character. He learned the traditions of 18th century art in France when he entered the École Impériale Spéciale de Dessin et de Mathématiques. 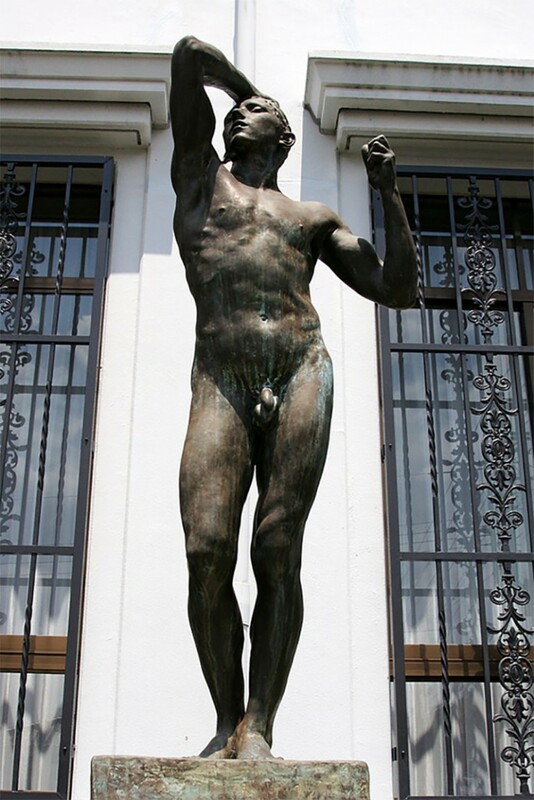 He supplemented his art training with informal studies from French Romantic sculptor, Antoine-Louis Barye, from whom he learned anatomical structure. Rodin’s apprenticeship was difficult. He became a modeler of French sculptor Albert-Ernest Carrier-Belleuse in the artist’s Parisian studio from many years before following his mentor to Belgium during the Franco-Prussian War of 1870–1871. 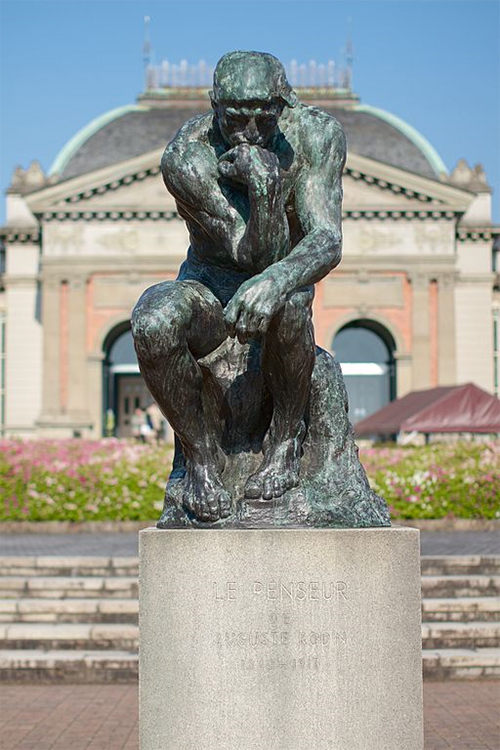 For the creation of the large stone sculptures of allegorical figures of Asia and Africa, Rodin became a partner of Antoine (Joseph) Van Rasbourgh. The work they did was commissioned by the Bourse of Brussels. He started to get known while still in Brussels, when he started creating decorative busts and figures of young women, who wore fruits or flowers in their hair and often wore peasant dresses. For his following major commission, he was tasked to create “The Burghers of Calais” to honor the six valiant citizens who offered to be the hostages of King Edward III of England in order for him to spare the city. Individually modeling torsos, heads, feet and hands for the monument, Rodin spent a decade to finish the work, modifying, discarding, rearranging and reorienting the figures to his satisfaction. His work on this was out of the norm, for he created individual figures with poses and gestures that depicted human characteristics, rather than the usual allegorical figures. The artist had a strong group of supporters and he continued to receive large commissions, such as monuments to President Sarmiento of Argentina, Honoré de Balzac, Victor Hugo, Claude Lorrain and Jules Bastien-Lepage.